Ms. B's Class is Online | What is the play about? 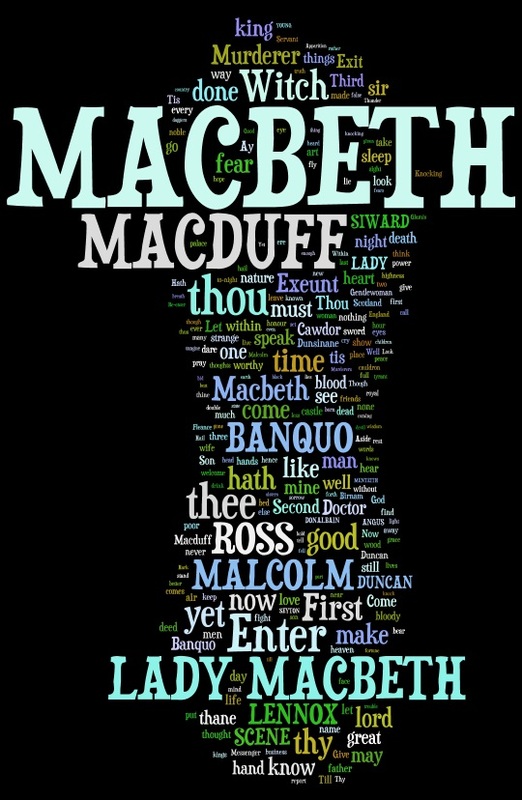 Exam this wordle created from the words used in Macbeth and make 3 predictions about what will happen in the play. Use the Predictor Stem Starters below to guide your predictions. Put leave your 3 predictions as a reply below. I predict that this play will have betrayal in it. I bet that there will be murder in the play. I think that the king will be murdered or have someone murdered. I wonder if there will be a lot of romance in this play. I predict that this is about someone named MacBeth. I bet that MacBeth will die. I think that one of MacBeth’s friends will turn and kill him/her. I wonder if that is possible to happen in real life. I think this play will be about a King that gets murdered. I believe that The witch would give her some medicine and put her to sleep. I think more than one person would get killed. MacBeth is royalty and he murders a bunch of people. I’m pretty sure just about everyone dies. I predict that the play is going to be about something with the lord. I bet this might be a pretty stuipd play. I think it might be interesting at some point. I really wonder what its going to be about. I think there will be a war between 2 Kings. I predict that someone would get kill and someone will try to take over. I predict that Macbeth will die. I bet that romance will play a part in the story. I think that Macbeth was killed by someone close to her. I think the king will be murder. There will be three witches. Macbeth, Macduff, Malcolm and lady Macbeth are main characters. I bet the witches and Macbeth killed the king. I predict Duncan came first to see lady Macbeth with the doctor. I wonder if Macbeth lives.